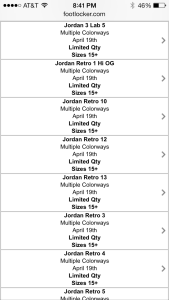 Joining FinishLine, Eastbay and SoleHeaven on the Saturday April 19th restocks are Champs and Foot Locker. Cop These Kicks is adding two more retailers to the confirmed Jordan Retro Restocks set to hit Easter weekend. Champs will restock the Retro 6 Infrared and Retro 5 Fire Red according to their site, but have confirmed the same lineup as Eastbay. Only the Retro 3 Powder Blue and Retro 6 White Infrared will be available in a full run. The rest will be size 15+. 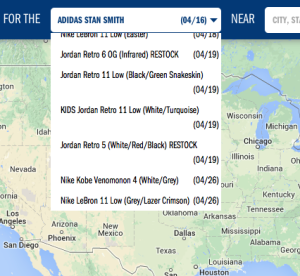 On the foot locker mobile launch locator it’s indicated what releases will be size 15. 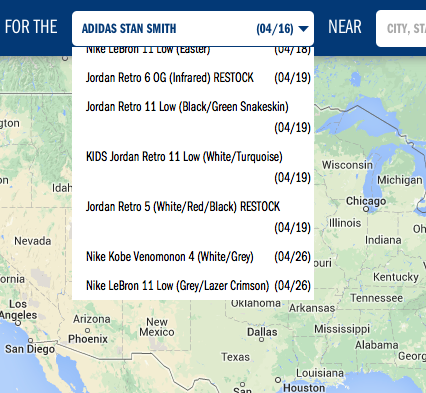 FootLocker also has the same lineup. This makes since since Eastbay, Foot Locker, Champs Sports and Foot Action are owned by the same company and often share the same inventory. 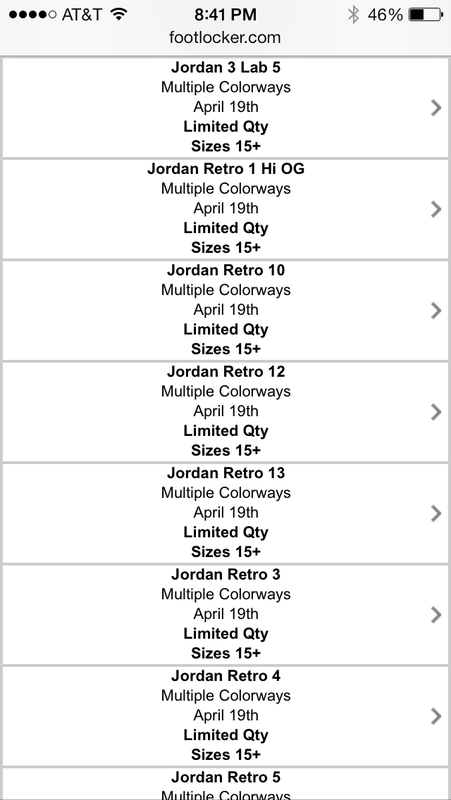 However Foot Locker has stated the Powder Blue 3 and Retro 6 Infrared Black will restock in a full run. We’re not sure if this is a typo since Eastbay and Champs have stated the only full run will be the White Infrared Jordan Retro 6.